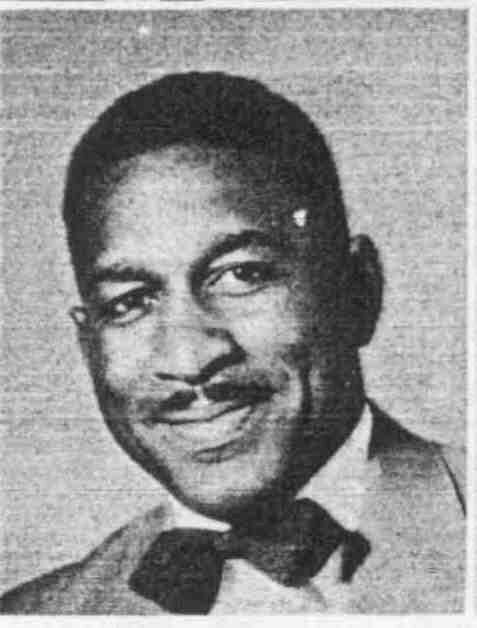 MCCLURE, EDWARD LEE "JOHNNY, JOHNNY JIVE", died on September 17, 2009, was born June 23, 1923 in Fairfield, Alabama to Rev. Albert and Lula McClure. Edward was a graduate of Fairfield Industrial High School. He received his Bachelor's Degree from Tuskegee Institute and his Master's of Education Degree from Alabama A&M University. Edward married Carlean Woods-McClure in 1951 and the two of them shared 57 wonderful years together. Edward's professional career included being a school teacher, boys advisor and assistant principal at Wenonah High School; popular radio dis jockey at WJLD and WENN radio, and television weather man on WAPI (WVTM) Channel 13. Edward McClure is survived by his wife, Carlean; sons, Edward McClure II (Renea) and Terence McClure (LaBrenica); grandchildren, Kimberly, Edward Ryan, Whitney, AND Kennedy McClure, Alex Mencer; great-granddaughter, Shelby McClure; brother, James Robert McClure (Clara), Caretakers Henry Ward and Bernie Hardy and many nieces, nephews and cousins. Family hour will be Monday September 21, 2009 from 6 until 8 p.m. at Smith & Gaston Southside Funeral Home. Funeral services will be 11:00 a.m. Tuesday, September 22, 2009 at First Baptist Church Fairfield, 324-59th St. Fairfield. Burial in Elmwood cemetery. Smith & Gaston Southside directing.